In early 1945, Ebb Cade, a worker at the Oak Ridge Nuclear Facility, got into a car wreck. He survived, but was bed bound with a broken arm and a broken leg. When doctors interviewed him, they ascertained that the fifty-three-year-old African American man was otherwise perfectly healthy, eating well, drinking well, and had no history of serious illness. And so, having obtained a healthy subject, on April 10th his doctors secretly injected him with 4.7 micrograms of plutonium. 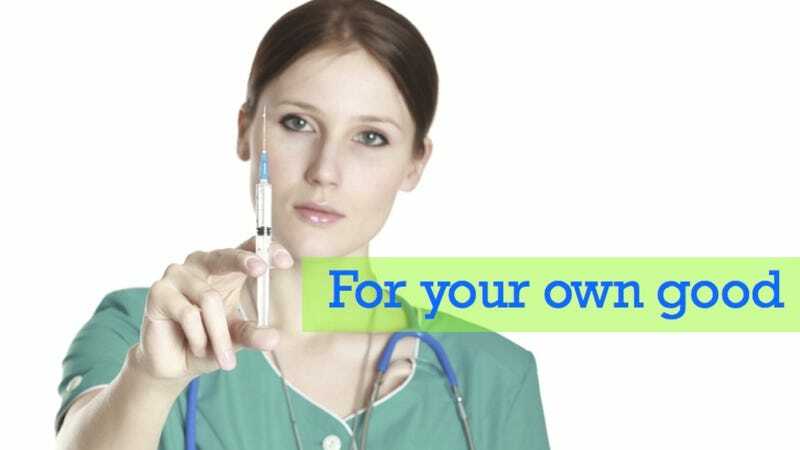 Who exactly ordered the injection, and who exactly administered it, has never been determined, with the most likely candidates all contradicting each other. What is certain is that no one administered the dose for the man's health. Although radium was still being touted by unscrupulous companies to the masses as a health tonic, enough people had gotten cancer and radiation sickness that any scientists knew that radiation was bad news. Since the beginning of the Manhattan Project, tests had been done to see how plutonium isotopes affected living beings. Animals had been fed and injected with the element, and their subsequent health problems were noted. When a scientist working on separating isotopes of plutonium had gotten a face full of gas, his stomach was pumped, to get out any plutonium he had swallowed, and his face was thoroughly scrubbed. Over the next five days after the injection, doctors collected any excretions from Cade to see how much plutonium he retained in his body. Other tests were more invasive. His bones weren't set until April 15th, and before they were set samples were cut out of them to see how much plutonium had moved into the bone tissue. Fifteen of his teeth were pulled and sampled for plutonium as well. Ebb Cade was never informed about the reasons for any of this, but he might have had an idea of what was happening to him. According to one account, one morning a nurse opened his door to find he'd fled during the night. He died in 1953, of heart failure. He was the first person to be injected with plutonium in the United States, but not the last. The next three injectees were patients suffering from cancer who had come into Billings Hospital in Chicago for treatment. From April through December, a man in his sixties suffering from lung cancer, a woman in her fifties suffering from breast cancer, and a 'young man' suffering from Hodgkin's lymphoma were all injected. Not much is known about the third patient. He was not mentioned in many official reports, nor is the date of his death known. What is known is he was injected with 95 micrograms of plutonium, roughly fifteen times what anyone before had been injected with. The University of Rochester also became the next facility to start injections of plutonium, as well as other radioactive isotopes, including polonium and uranium. The director of the program there wrote that nearly all the patients had diagnoses that meant they were unlikely to live for more than five years. Although it's true that many patients did have serious illnesses, many had illnesses that allowed for more than ten years of life, three were still living when investigations into the plutonium injections began in 1974, and one was misdiagnosed entirely. Researchers at the University of California also took part in these experiments. In May of 1945 Albert Stevens came in for treatment of his stomach cancer. He was injected with plutonium. After the injection, it was found that the cancer was actually an ulcer. When Stevens thought about moving away, he was offered a stipend to stay in the area, so the lab could continue to test him for radiation, but he was never told about the injection. In April of 1946, Simeon Shaw, a four-year-old boy suffering from bone cancer was the next test subject. His parents, who had brought him from Australia for treatment in the United States, were told that the injection, and a subsequent removal of some bone tissue, was part of his cancer treatment. When he got sicker, his parents brought him back to Australia, where he died. It wasn't until thirty years later that they found out what their son was actually injected with. In December of 1946, the Manhattan Project ordered a halt to the injection of humans with radioactive materials, at which point the Atomic Energy Commission took over. In April of 1947, possibly in response to the Nuremburg trials concerning human experimentation, it was recommended that patients be told that they would be injected with a 'new substance' and that 'no one knew what it did,' but that it could inhibit cancer growth. The trials continued. A thirty-six-year-old man named Elmer Allen was injected and his left leg amputated shortly after. Although the injections themselves were halted at the end of 1947, follow up studies, including the removal of bone tissue and excretion monitoring, were conducted into the early 1950s. Some of the eighteen known patients injected with plutonium died and were actually exhumed for more tests to be conducted. Their families were still told that they had received an unknown mixture of isotopes purely for medical treatment. It wasn't until the 1970s that a full investigation was conducted. Surviving patients were informed, families of the deceased were questioned and eventually informed. Only one surviving patient never knew what happened to her. Her current doctors judged her emotional state too fragile to be told about the injections. The last survivor of the plutonium experiments was Elmer Allen, the man whose leg was amputated after his injection. When doctors looked back through his notes, they found that his prognosis, at the beginning, was very good, and that it was deemed likely that the then-thirty-six-year-old would live more than ten years. He died in 1991. Via Democracy Now, LANL, and DOE.